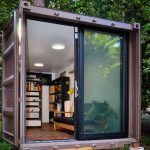 Are Shipping Containers That Good For Storage? Storage containers are quickly becoming a popular alternative for those looking to store a decent amount of stuff.Storage containers like Conex boxes are perfect for self-storage. 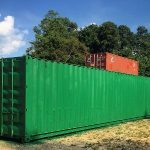 These containers have endless benefits like affordability, security, and durability. Storage containers are not easy at all to break into. There are specially designed for safety and security over long periods of traveling. They have a locking mechanism that keeps your valuable items very secure. 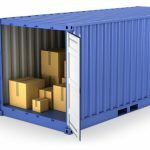 Furthermore, a storage container can be securely stored in a storage site with round the clock surveillance, adding to the already high security. Storage containers are not only safe from crowbars and other brute force tools, but also to extreme weather conditions. Again, these containers are shipped across the ocean for weeks at a time sometimes, they’re tough. In some cases, people will use them to store their cars during storms or any other dangerous events. The container can withstand such weather no problem. Last but not least, storage containers from Carolina Containers are 100% vermin proof. This means that your stored important documents will remain intact. Cockroaches favorite food is cardboard, which is generally what files are stored in. But with a storage container, you have nothing to worry about! Storage containers are quite affordable in comparison. Unlike traditional storage facilities with storage rooms that are pricy, the cost of a storage container is only incurred once at the point of purchase. 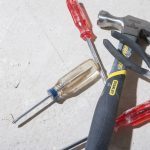 With traditional storage units, you have to pay for things like building maintenance but buying a storage container is only a small investment. As mentioned before, storage containers can withstand brutal weather conditions and can be stored outside with no worry. With regular maintenance, these storage containers can last for almost 20 years if not more. The high-strength weathering steel that is used in making the containers is coated with a finish that fights corrosion and elements. Therefore, regardless of the climatic conditions in your area, you don’t have to worry about your belongings. A storage container gives you a peace of mind. You could even take a baseball bat (don’t do this) and hit your container, you’ll be lucky to leave a dent at all and would hurt yourself worse than the container. It is important to have a storage place that you can move with in the case you want to relocate. With storage containers, if the situation requires it, the container can be picked up quickly and easily. It can be delivered to a new work location ready to go or for more storage capacity. We all want a storage space that is big enough to hold all of the stuff we want to put away. 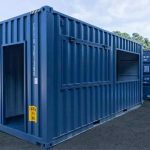 Storage containers from Carolina Containers in Raleigh have a large sheer amount of storage space inside that is useful to store a significant amount of items for as long as you need. Items that can be stored include furniture, landscaping items or even documents. Big bulky things that you couldn’t fit elsewhere can be put in your container! A storage container can be customized to meet your specific needs. You can set up unique security solutions. You can also build a custom workshop with the container. Actually, you can do customize a storage container in whichever way you see fit. Which other storage solution allows you to do that? If you are looking for a storage space, you should definitely consider storage containers because they are the best for storage. You may be skeptical if you have never used them but be rest assured that you will get a return on your investment on a storage container. You’ll never know how useful it can be to you unless you give it a try! For more information on using a shipping container for any of your purposes, contact Carolina Containersat 919-562-9187.